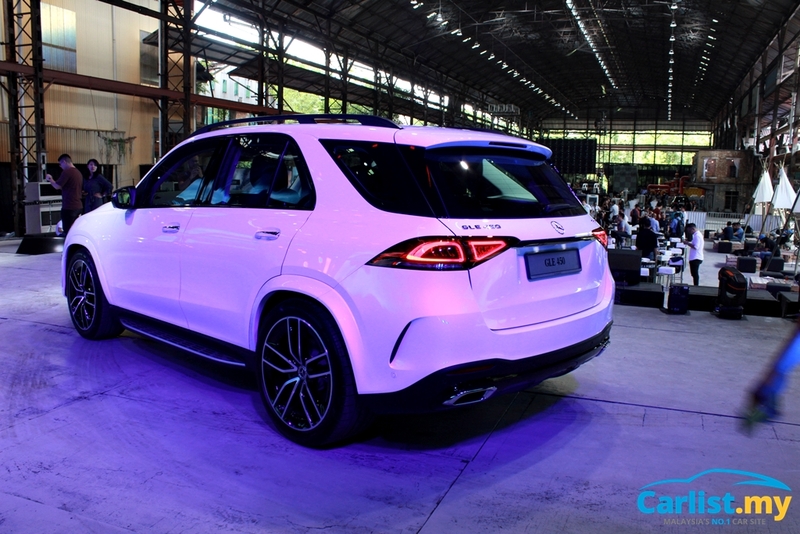 Mercedes-Benz Malaysia has just launched the all-new GLE-Class, with the fully imported model offered in either a 5-seater or 7-seater variant. This model competes with the mainstream names of luxury SUVs such as the BMW X5, Volvo XC90, and Audi Q7. Before adopting the GLE name, it was known as the Mercedes ML-Class. 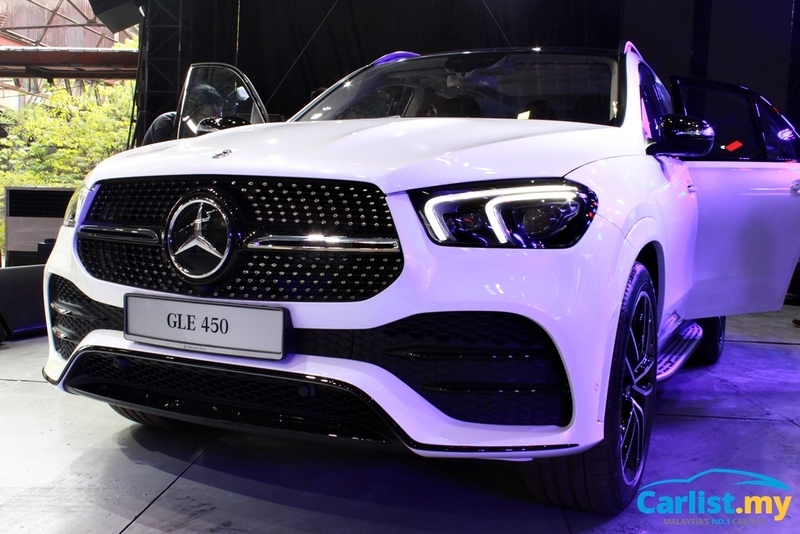 The front of the all-new GLE-Class features an octagonal-shaped grille, with slim tail lamps that closely resembles the sporty Mercedes-Benz CLS. Mercedes-Benz Malaysia has selected to offer the new GLE 450 with the AMG Line. AMG-specific items include front and rear bumpers, radiator grille with single louvre grille and diamond pattern, body-coloured fender extensions, huge 22-inch tyres and wheels (front: 285, rear: 325 widths), and gloss black highlights. Thanks to plenty of aerodynamic-efficient measures such as underbody panels, wheel spoilers, tailgate seals, and tail lamp lips, the all-new GLE-Class returns a sedan-like Coefficient of Drag (Cd) figure of 0.29, the best in its segment. Inside, the larger all-new Mercedes-Benz GLE-Class houses a new dashboard design that places the dual-LCD widescreen cockpit display as if it is floating on the fully leather-lined upper dashboard. 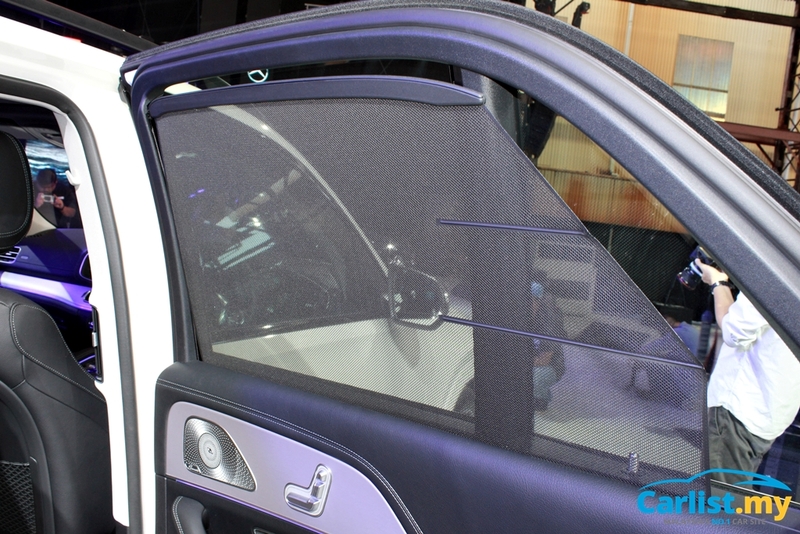 All interface is controlled by the MBUX (Mercedes-Benz User Experience) system. Grab handles, a typical feature of off-roaders, surround the Comand control panel and other switches located on the lower centre console. Through the extension of the wheelbase that is now 2,995 millimetres (20 longer than the all-new G05 BMW X5), Mercedes-Benz has now incorporated a third-row of folding seats for two occupants, which is an optional feature for a price of RM 5,000. Seats on the second row also enjoy more luxurious features, including powered adjustment for the slide, recline, and headrest height. Currently, the all-new SUV is only available with the new single exhaust-turbocharger 3.0-litre in-line six-cylinder petrol engine codenamed M256. 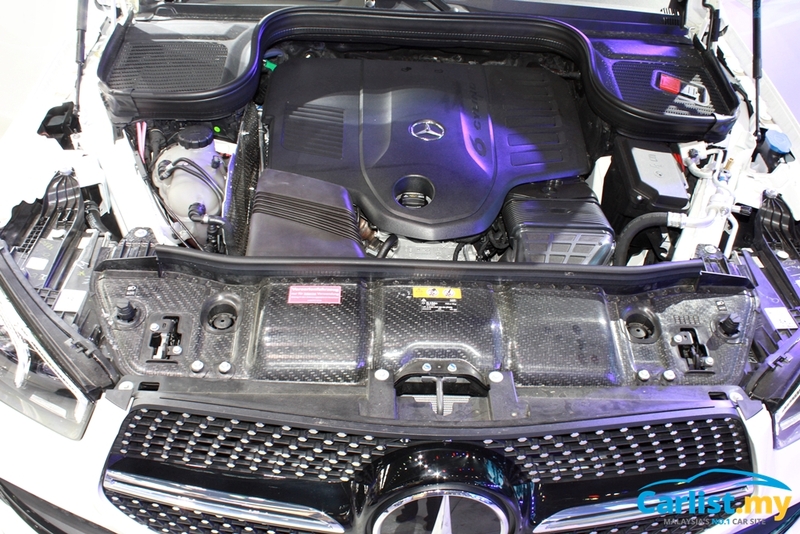 Sharing similar performance figures with the CLS 450 (367 hp, 500 Nm), the GLE 450 also has a mild hybrid system that houses an integrated starter/alternator (ISG) between the 9G-Tronic transmission and engine. The mild hybrid system or EQ Boost enhances power by 22 hp over short periods. Drive to the front and rear axle after the nine-speed automatic transmission is intelligently split by a high-performance electronically-controlled multi-disc clutch transfer case which improves on-road handling as well as making it very capable during off-road driving. The all-new Mercedes-Benz GLE 450 is built in Alabama, the USA. At the same event, Mercedes-Benz Malaysia also launched a new addition to their growing line-up of locally-assembled models: the Mercedes-Benz GLC 300 Coupe. More information about this sporty SUV can be found here.